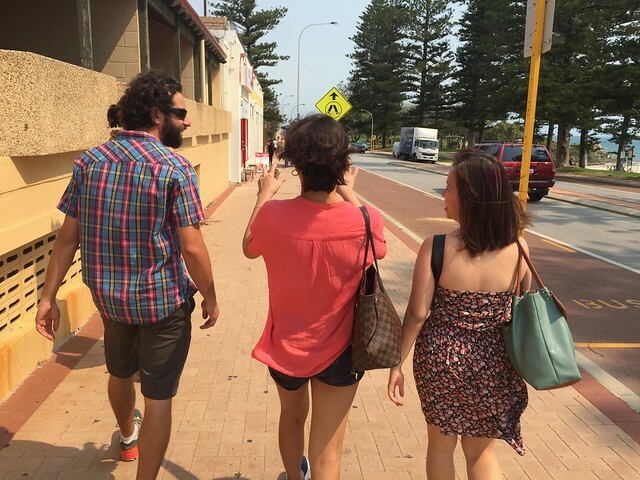 This is my first trip to Perth, and we were fortunate to have Tourism Western Australia show us the best of the city. This is no longer the sleepy town it was once known to be. 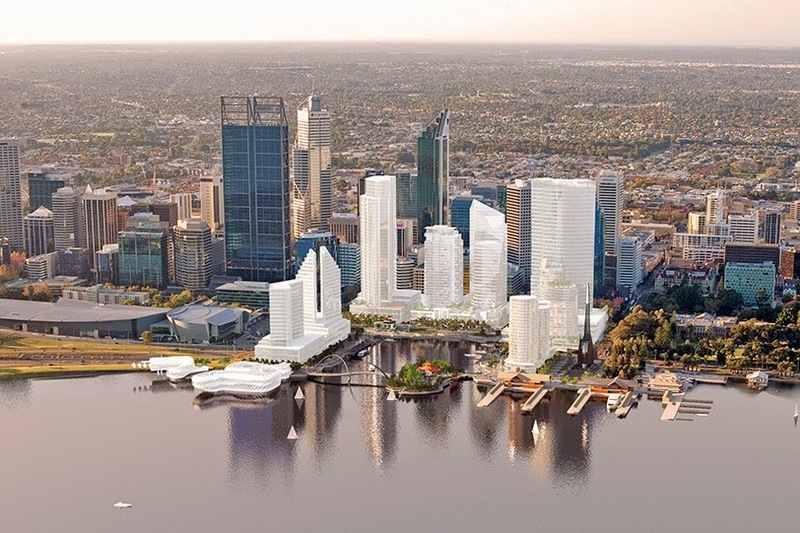 One of the most exciting developments is Elizabeth Quay (pic above, from Bigger Picture, which outlines WA's bigger projects). 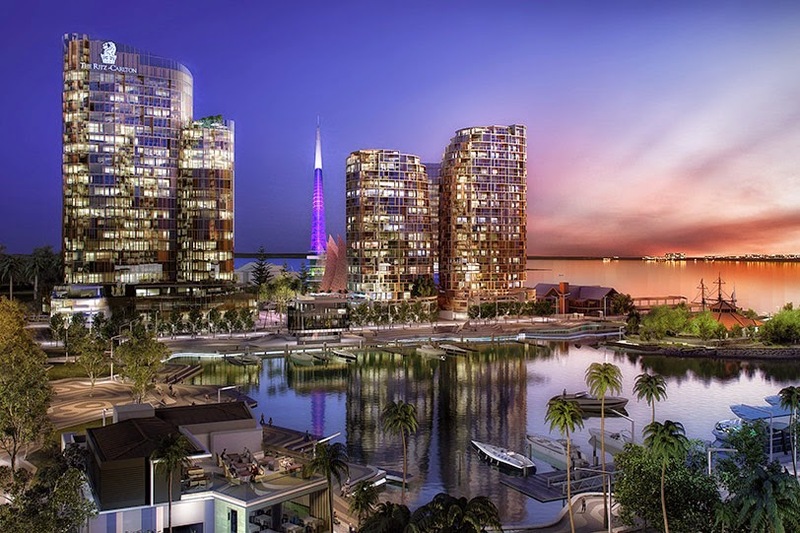 This beautiful inlet is linked by 1.5km of scenic promenades and continuous boardwalks, with a five-star hotel (the Ritz-Carlton is returning to Australia), water park, public spaces for commerce and community, and possibly one of the best addresses for inner city waterfront living. This is what it's going to look like - the Eastern Promenade anyway, with the glitzy hotel. Elizabeth Quay is targeted to be ready Nov 2015. I saw the site under construction; I can't wait to see the real thing! That's exciting but meanwhile there's plenty to explore in the rest of Perth. We started off with a walking tour with Ryan Mossny of Two Feet & A Heartbeat Tours. He is extremely passionate about travel and loves Perth's history, so he is very happy to walk you through the many sights, sounds and fabulous tales. We began at the beginnings of Perth. Stirling Gardens, one of the oldest public parks in Perth, was named after Governor James Stirling - who founded the Swan River colony in 1829. There had been Dutch and French explorers since here 1600s, but he persuaded the British to stake out a settlement here. It's not very big but it is truly beautiful with lots of things to look at. 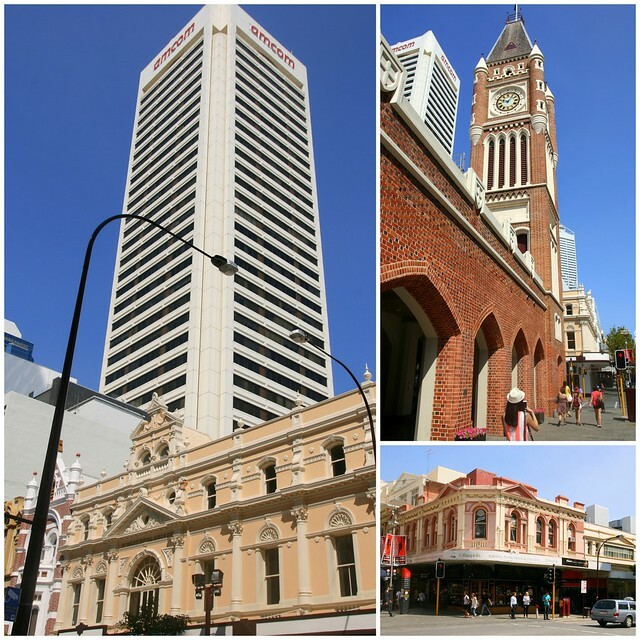 It demonstrates how Perth blends greenery with heritage features into the city's retail and commercial heart. It deserves its reputation as parkland oasis. All the plants here are not native to Western Australia. The first settlers here wanted fertile land of milk and honey perfection, but the soil is sandy. It's hard to grow stuff here, but they sure experimented. 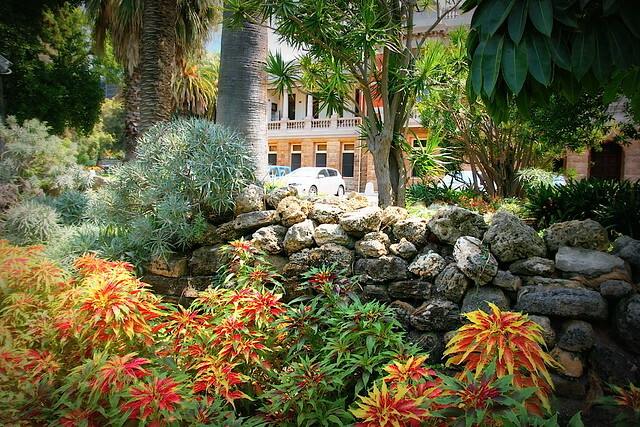 These were the first botanical gardens, and some of the earliest trees planted are still here. 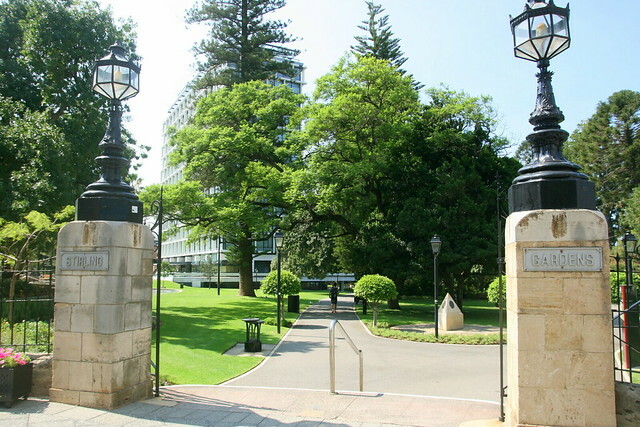 The gardens face the Treasury and Cathedral precinct. The 19th century Treasury Building is being converted to a AU$584 million six-star hotel aiming to be the "best hotel experience in Australia" - yes, not just in Perth, but the whole country! If it's really an Aman resort, I can see how. Well, our guide Ryan tells us it's a joint venture by real estate investment firm FJM Property and Mirvac. Even the Little Creatures Brewery director is involved. The boutique hotel will have 46 spacious rooms about 75sqm on average. Butler service, the works, of course. Expect to splash out about AUD600 per night. It's slated to open July 2015 but there's no name yet. The hotel is just next to St George's Cathedral, and in between the two is a glass and steel building that is the new city of Perth library. 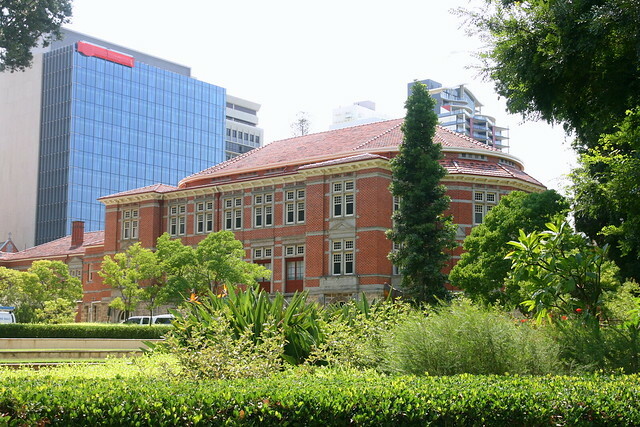 The Supreme Court is another historic building (built 1903) with its own gardens at the back, merging with Stirling Gardens. 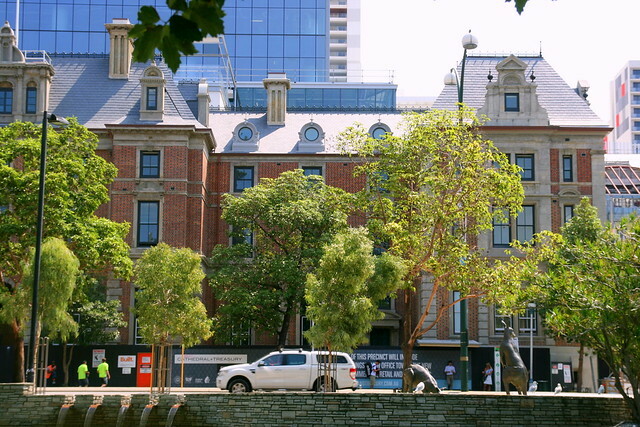 You'll also see the Governor's House; it was the centre of socialite activity in the old days. 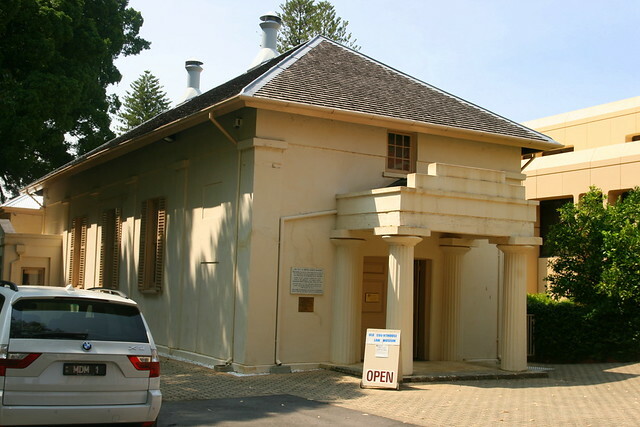 The 1837 old Courthouse Law Museum is oldest remaining building in Perth. It's made with bricks; all other buildings before that were made from mud and timber, which of course disintegrated much more easily. The Supreme Court Gardens were built on reclaimed land. The Swan River is more of an estuary and the waters too shallow, so the banks were filled up. You can still see the river wall remnants. 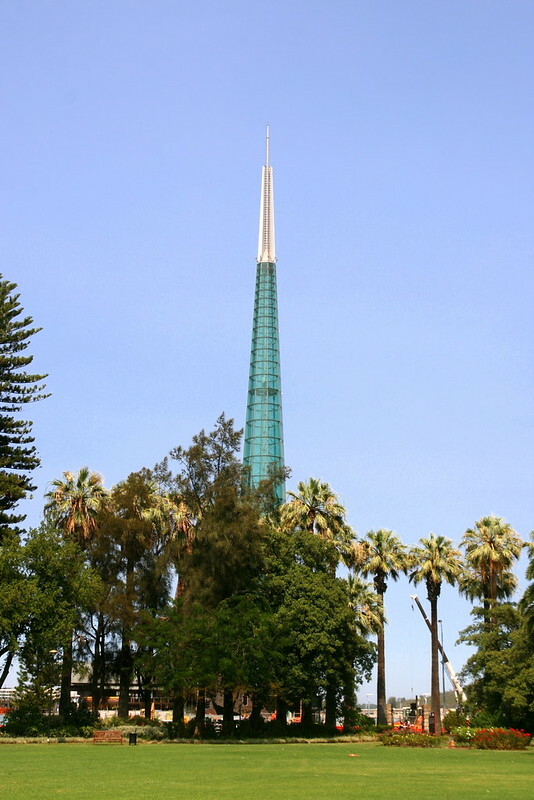 The iconic Bell Tower stands across from the Supreme Court Gardens and overlooks the Swan River. Built to commemorate the year 2000, the glass and copper tower holds a eighteen-bell set. This includes twelve historic ones that came from St Martin-in-the-Fields, which can be traced to before the 14th century. Recast by Queen Elizabeth I in the 16th century, they are one of the few sets of royal bells, and the only ones known to have left England! Later on it will be standing proud near the Elizabeth Quay; you can see some of the construction going on nearby. Ryan took us into interesting alleys in the city. This is Howard Lane. Notice the steel chandeliers above and the strip of cobblestone preserved as a memory of what the roads used to be? Even the waste container enclosure has decorative steel cut-out motifs. 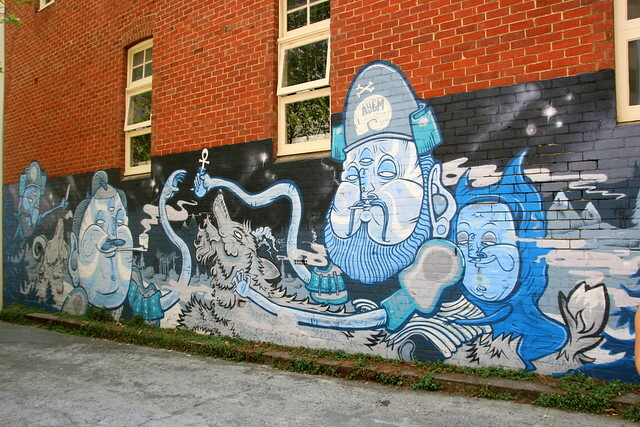 Upon turning in, you will see more artistic flair in the alley. Specially commissioned graffiti hug the walls of the establishments here. Some of the buildings are actually hidden insider hangouts, like the Helvetica whisky bar. There's no signage, and only locals know about it. 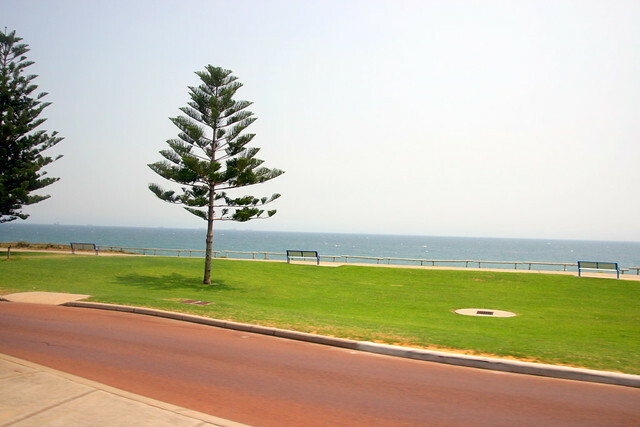 Ryan also brought us to Cottesloe Beach, probably the most popular beach in Perth. Isn't it great to have someone who knows the place like a native guide you through the suburbs? Local knowledge is invaluable. 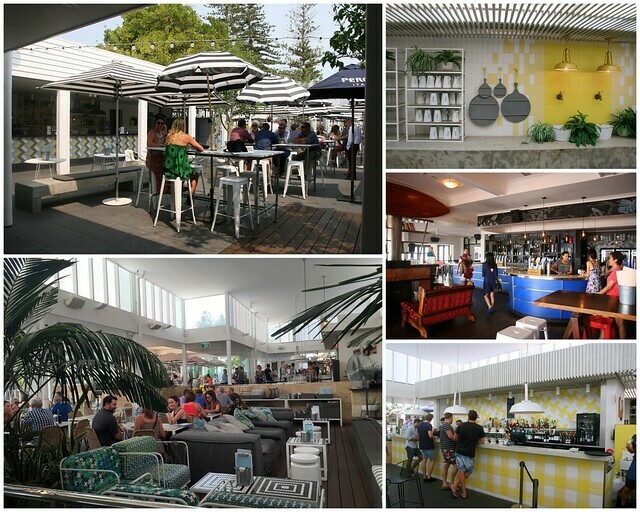 Perth is one of the sunniest cities in Australia and Cottlesloe Beach gets top marks as a seaside destination among locals. It's a 1.5km stretch of golden sand, with waters perfect for swimming, snorkelling and surfing. Bring lots of sunscreen! 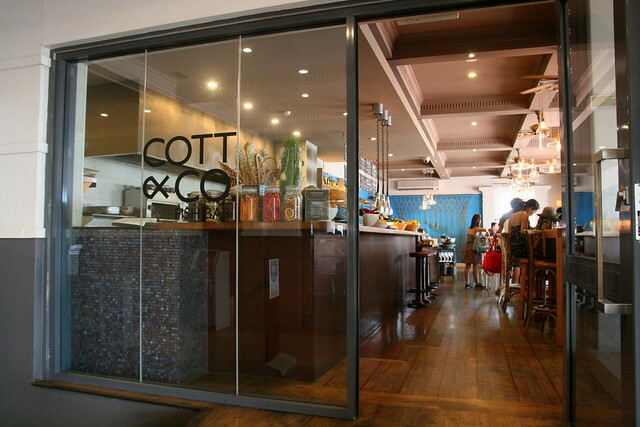 We had lunch at Cott & Co Fish Bar, which is at the Cottlesloe Beach Hotel. This is where you'd go to while the day away, maybe watch the glorious sunset from the comfy lounge area with massive open windows. Or sit at the high stools for a drink in the hot afternoon. 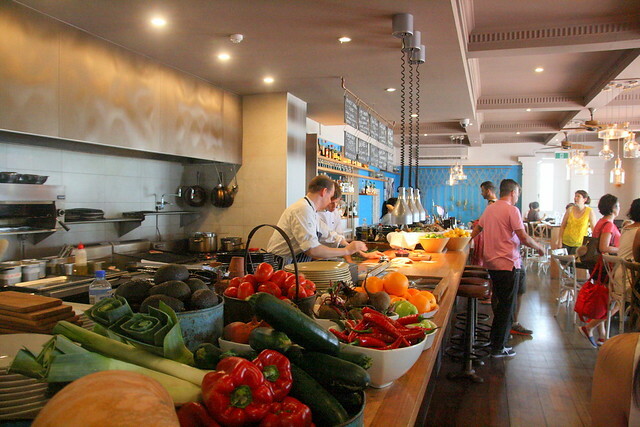 The whole place with its cosy Mediterranean vibe just makes you feel like relaxing. The beautiful wood and lighting gives the interior warmth and chic cache. 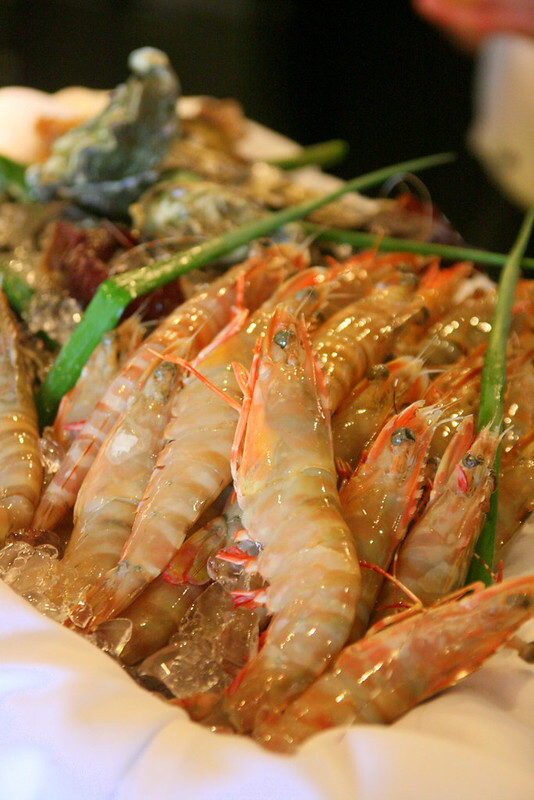 Here it's all about good quality produce with simple, unpretentious flavours. I love how it's all laid out in front of the show kitchen. Service is cheery and easy-going. 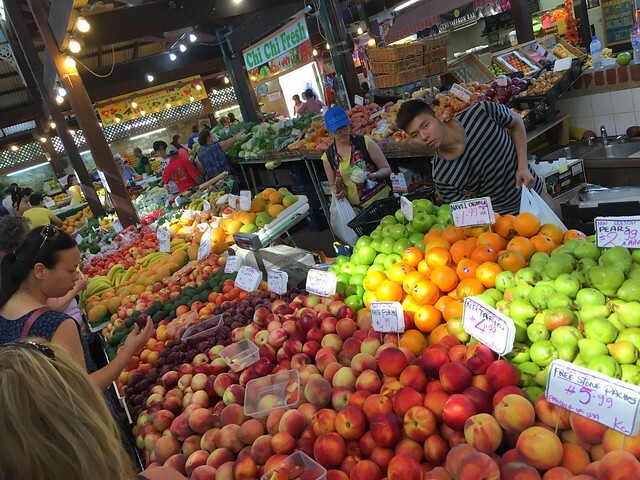 Dishes change according to the market's catch. 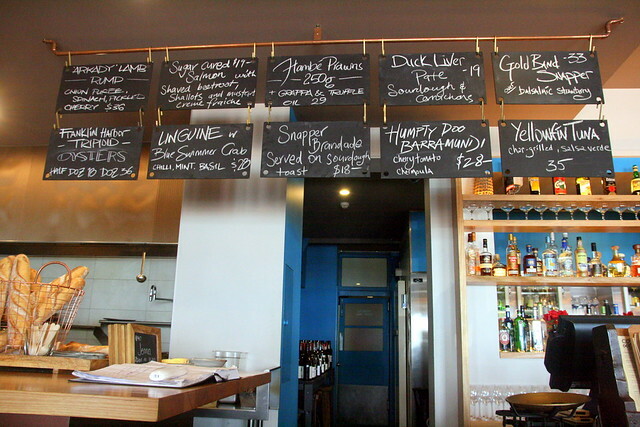 Dishes of the day are written on chalkboards above the bar. We all got curious about "Humpty Doo Barramundi" and found out Humpty Doo is actually a place near Darwin, where the barramundi is from. 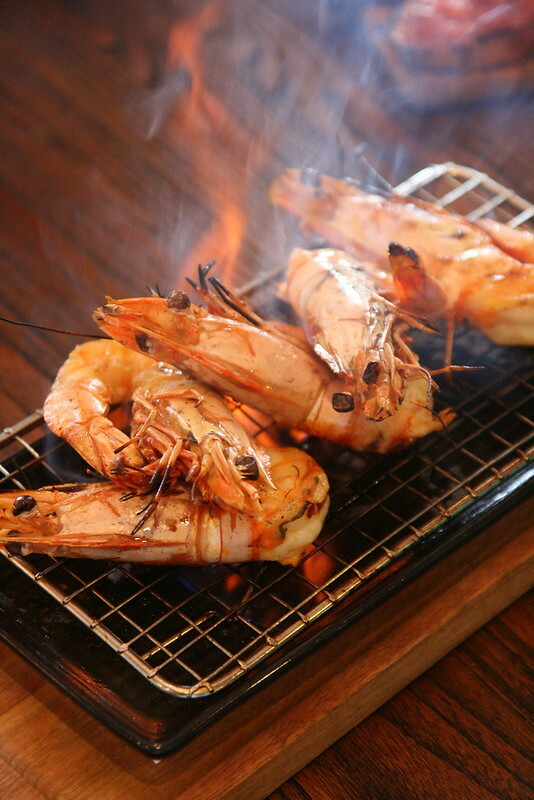 Here they are, Flambe Prawns (AU$29) with Grappa and Truffle Oil. Oh so succulent and smokily good! 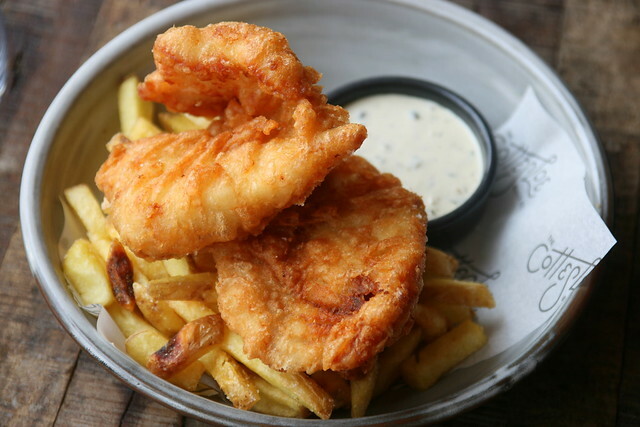 I had the signature Cotts Fish & Chips (AUS$26), made with fresh WA snapper, and housemade tartare. Big chunks of fish which remained super piping hot even through a few rounds of photography! 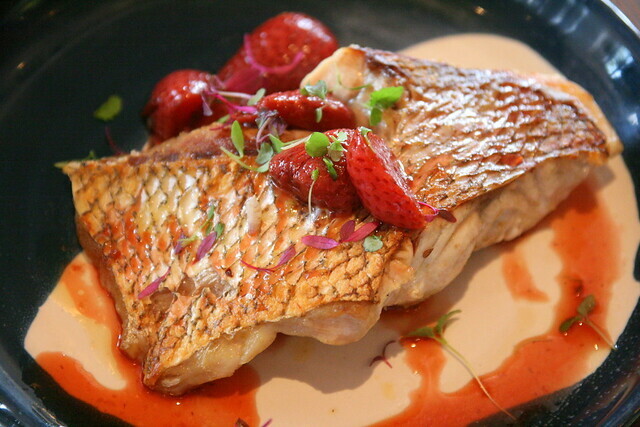 This is the Gold Bind Snapper with Balsamic Strawberry (AUD$33), one of the daily specials, which I heard was pretty decent too. What was most intriguing was this Ricotta and Truffle "Gnudi" (AUD$29), served with cauliflower, walnuts, lemon, nut butter and crispy kale. The gnudi (pronounced "nudey", how cute!) are these pillowy pockets of pasta dumplings stuffed with ricotta, and just lightly pan-seared. 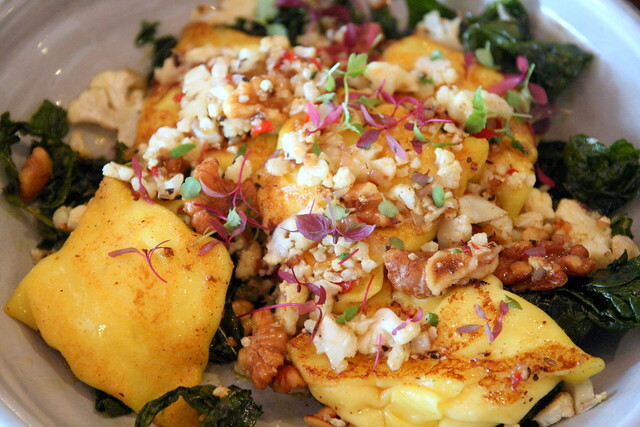 Overall, very light-tasting as perhaps this vegetarian dish aims to be, since it's listed in the Light items of the menu. We had a quick tour of the other F&B areas of the Cottlesloe Beach Hotel - it's really huge. The open air Beach Club replaces the beer garden. There's a sprawling lounge area with yellow bar. The Verandah Bar has seats strategically lined up for sunset viewing, but you can chill anywhere within. Cottlesloe Beach Hotel also won some award for responsible drinking. 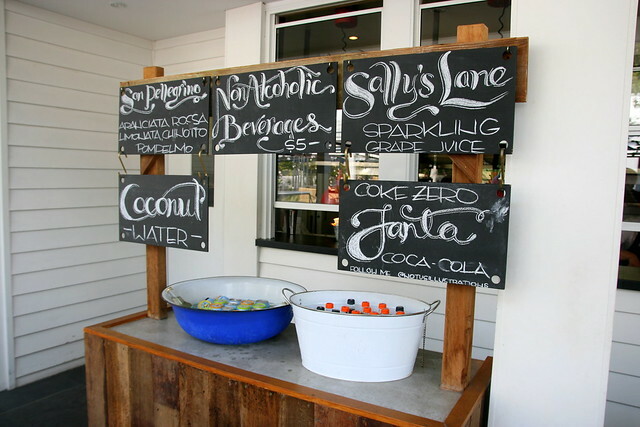 They offer plenty of alcohol-free drinks for those who want to party without getting drunk. A big thumbs up! They even had a pop-up beach bar, with real sand and boardwalk. 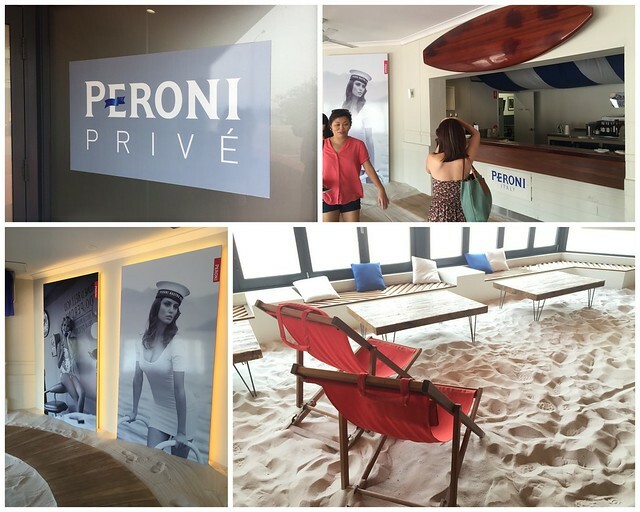 It was sponsored by Peroni. The hotel itself is a boutique establishment, only 14 rooms but they all look fairly well appointed. Ten of the beachfront rooms have balconies with panoramic views of the beach! Not too far away is Fremantle, the port city sitting at the mouth of Swan River. 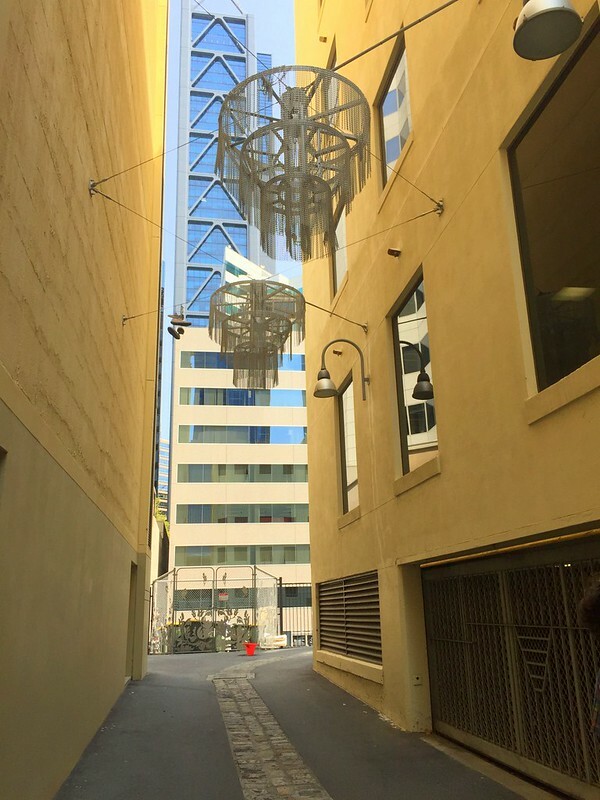 The historic city streets have buildings dating from the 19th century, the Fishing Boat Harbour is lined with famous seafood restaurants and cafes, and winding alleys come alive with buskers and art. 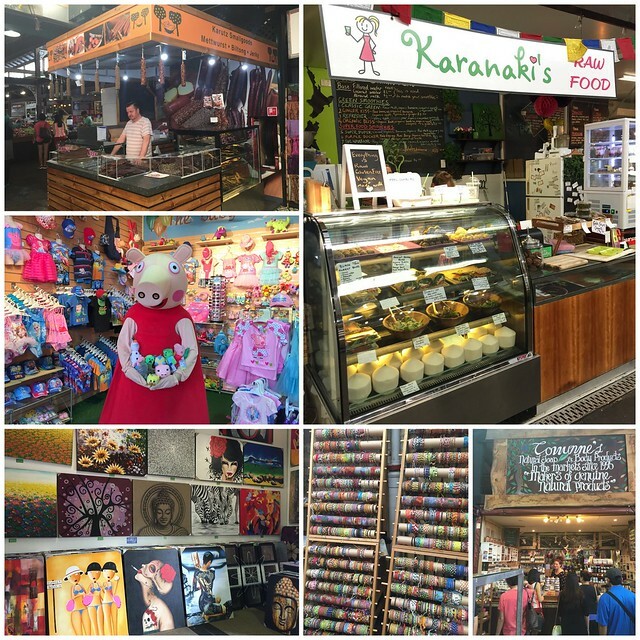 We visited the Fremantle Markets, another top destination for locals and tourists alike. 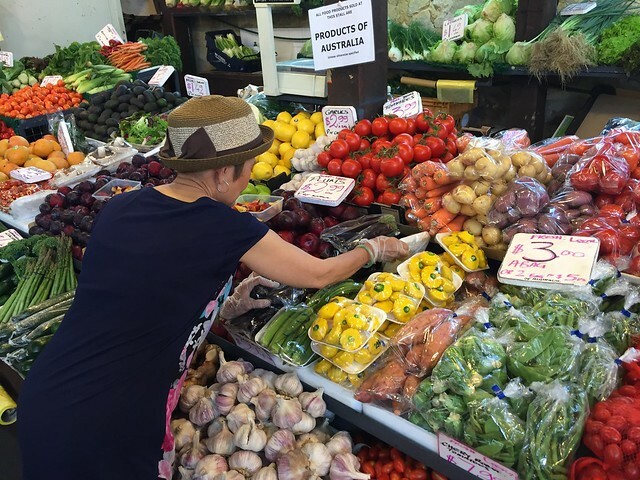 Housed in a historic Victorian building, this market is bursting at the seams with 150 stalls selling all kinds of things including handmade soaps, candles, crafts, clothing, food items, grocery produce, cheeses, sausages, and candy. 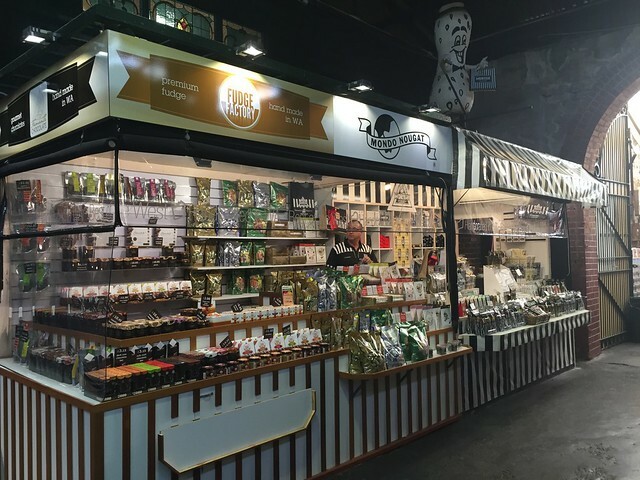 Make sure you get some of the lovely nougat, made right here in Western Australia! One of our best discoveries here - the giant donut at Levi's! Perfect combination of hot, soft, fluffy and chewy! Thanks, Selena for showing us this! 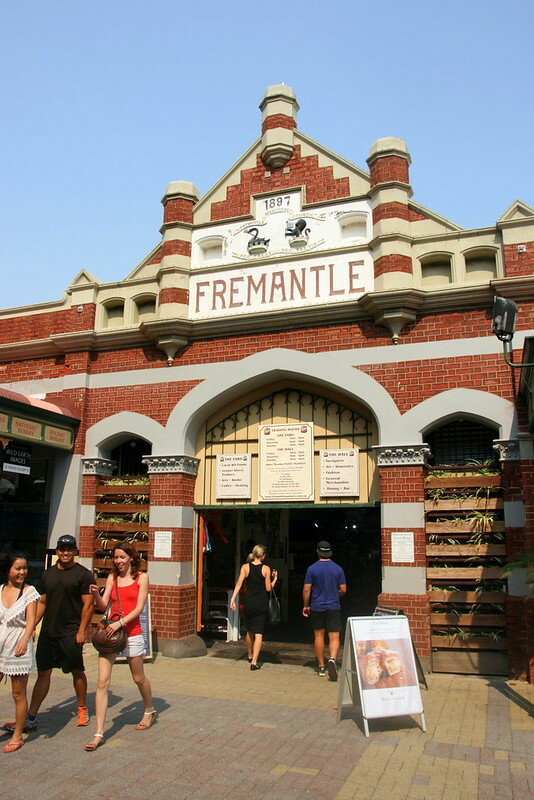 Fremantle Markets is at Corner South Terrace & Henderson Street Fremantle, Western Australia, 6959. Here's how to get there. 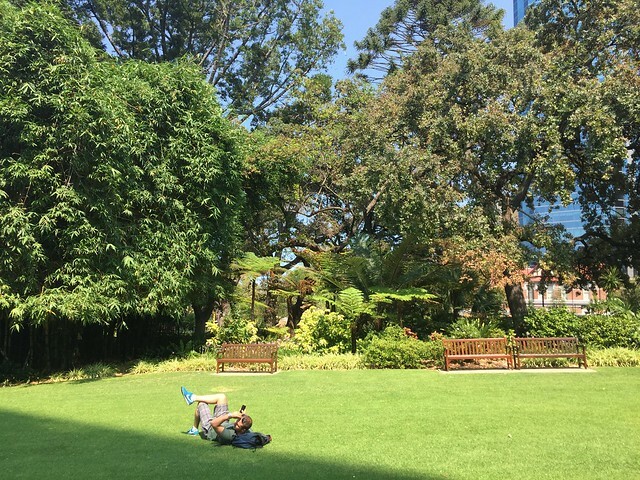 No visit to Perth is complete without a jaunt to Kings Park, one of the world's largest inner city parks. With over 400 hectares, there's a lot to see. There are free guided walks for the sprawling gardens, which include an outstanding collection of over 3,000 species of Western Australian flora. 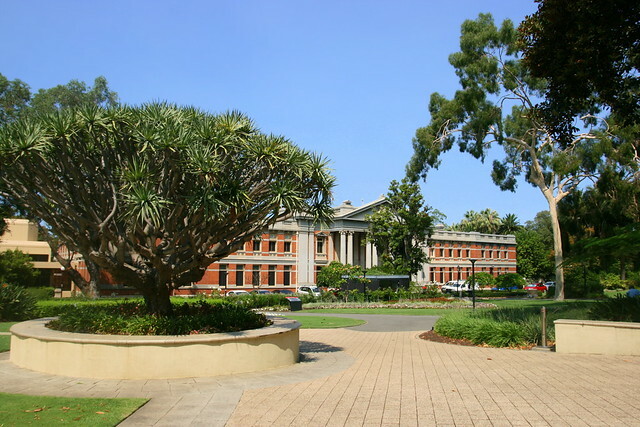 Kings Park also has an international reputation for scientific research, leading horticulture, conservation and public education. 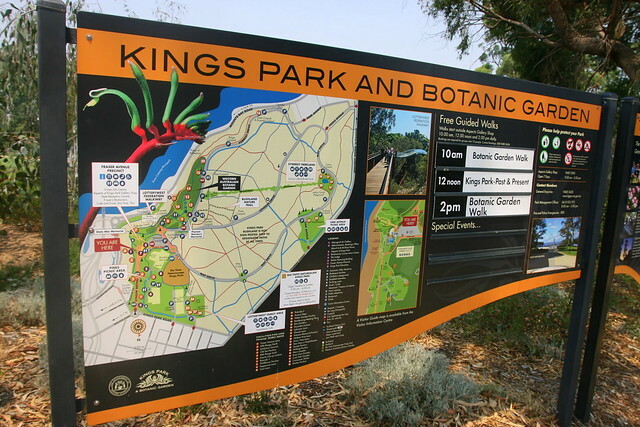 Kings Park and Botanic Garden has more memorials, statues and honour avenues than any other park in Australia. 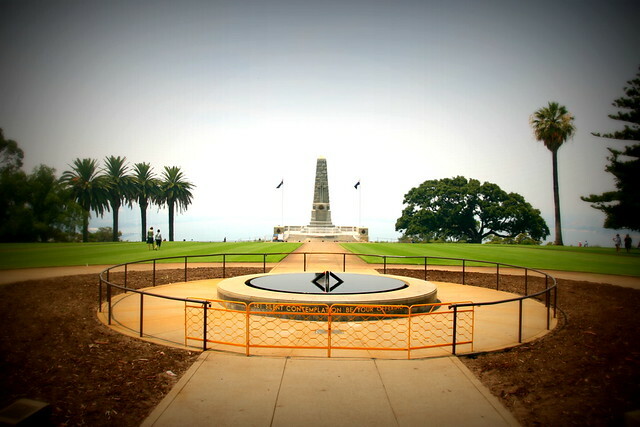 The State War Memorial Cenotaph is easily identified along Perth's skyline and is one of Kings Park's most iconic features. The park is always open and free for visitors. 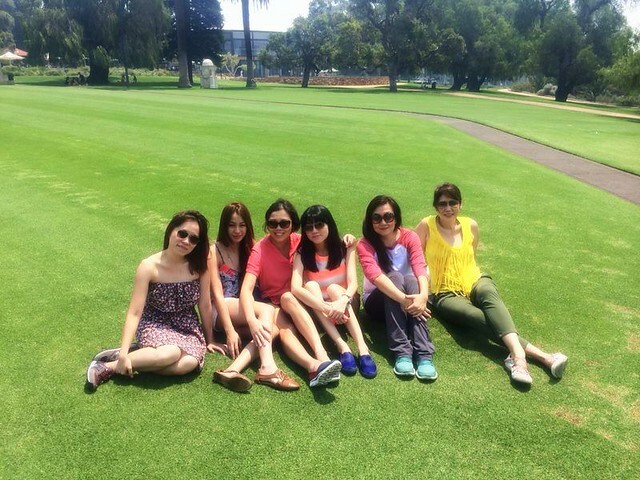 There are several scenic spots for picnics and BBQs, and some of the best places to view the Perth skyline. 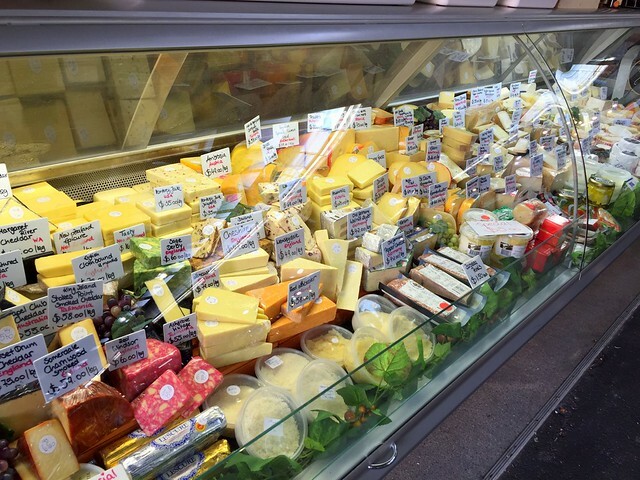 Various cafes and an award-winning Fraser's Restaurant ensure that you won't go hungry or thirsty. 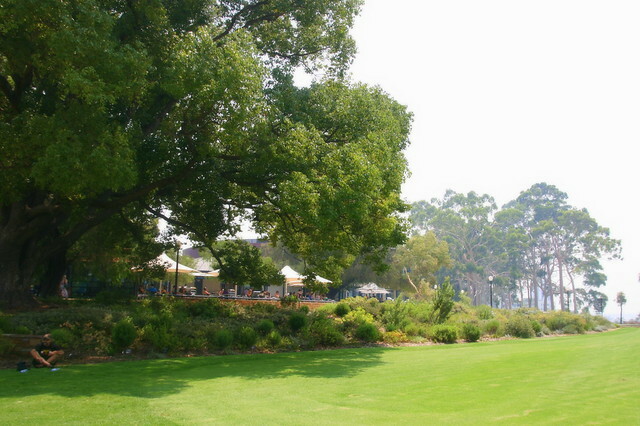 Kings Park is also incredibly popular for events and weddings. Dinner was at the charming Chesters Restaurant and Heafod Glen Winery in Swan Valley, just 25 minutes north of Perth's CBD (it was close to our hotel the Novotel Vines Resort, which I'll review in the next post). 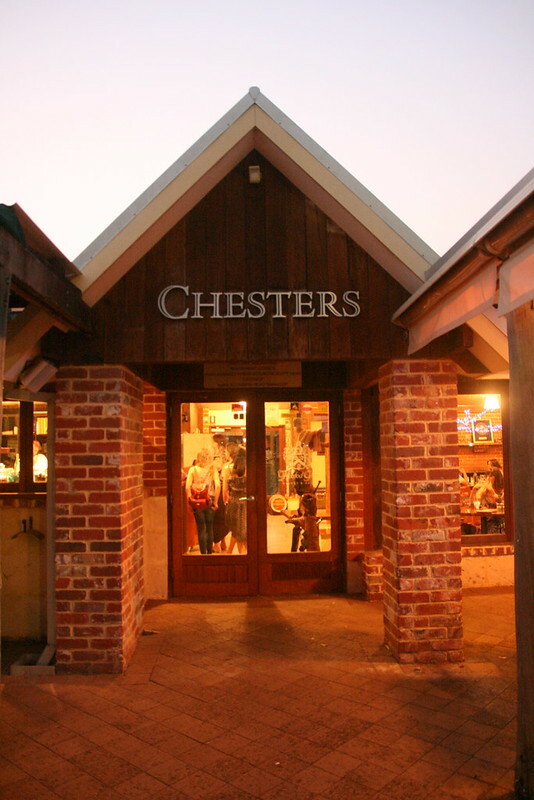 Chesters is a multiple award-winning restaurant, having not one but several Gold Plate wins (2006, 2008, 2009, 2013 & 2014)! 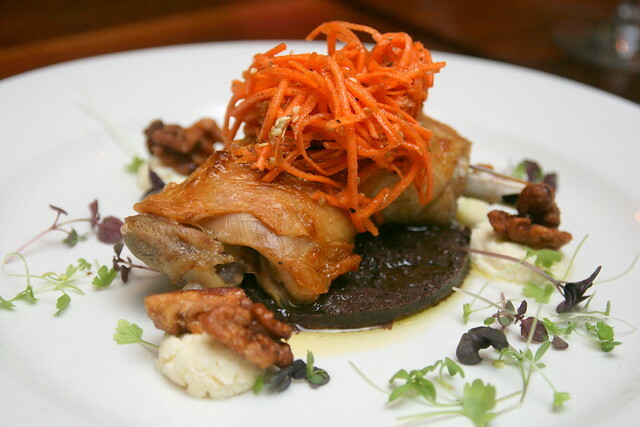 These awards are one of the highest culinary accolades in Western Australia. The building used to be a stable for a riding academy. I love horses, so this totally struck a chord with me. There columns sustaining the roof were done in the valley during the early 1900's. All the tables, cabinet works and feature walls are handcrafted using the original timbers. 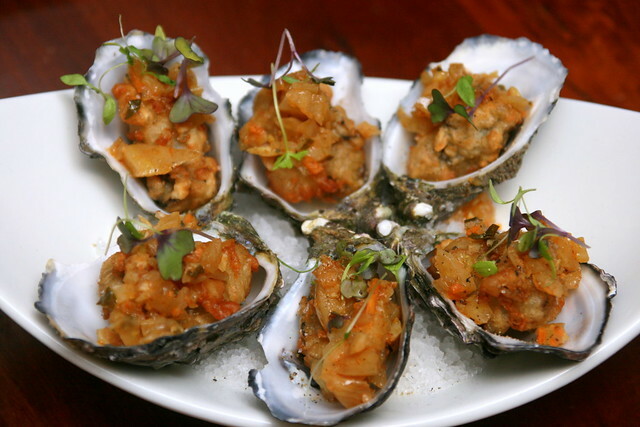 The plump oysters made a splendid combination with the spices and light hint of lemon and ginger. Surf and turf! 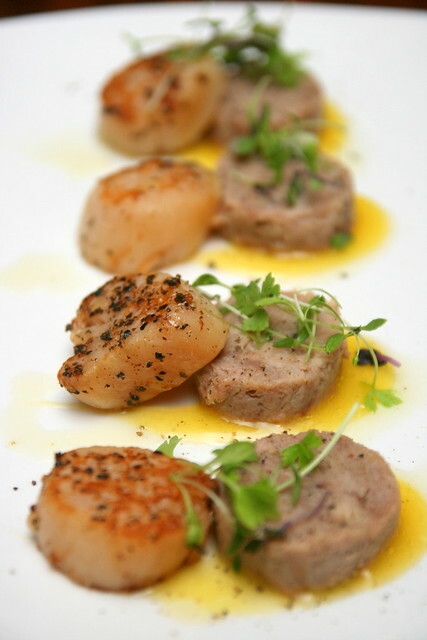 The flavours of the sea were not overwhelmed by the duck which was as tender as pate. Both were complimented by the orange sauce. 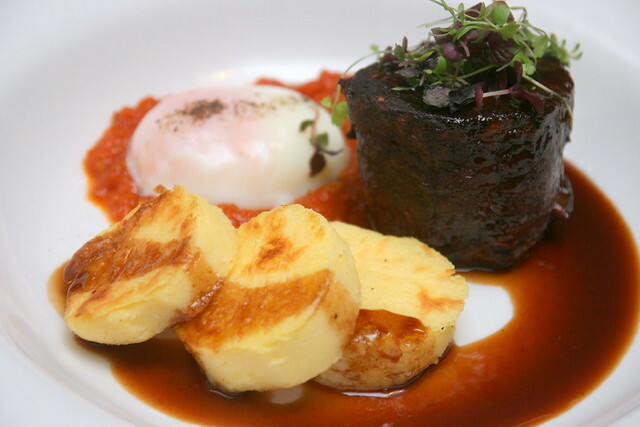 Interesting treatment with the tomato pickle and runny egg. The meat was done just right at medium; it was fairly lean with good bite. 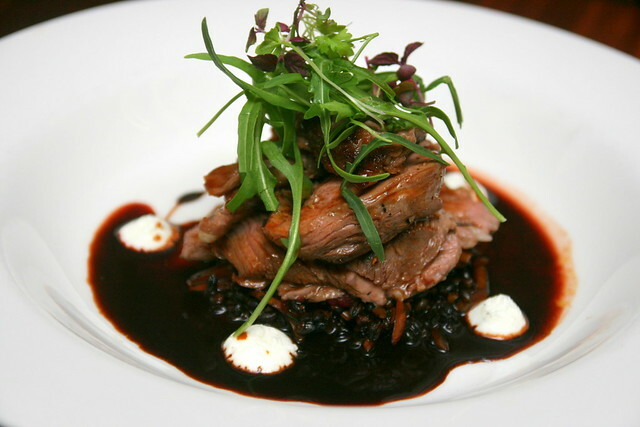 Nicely done lamb with flavours accented by the wine reduction and tangy goat's curd. 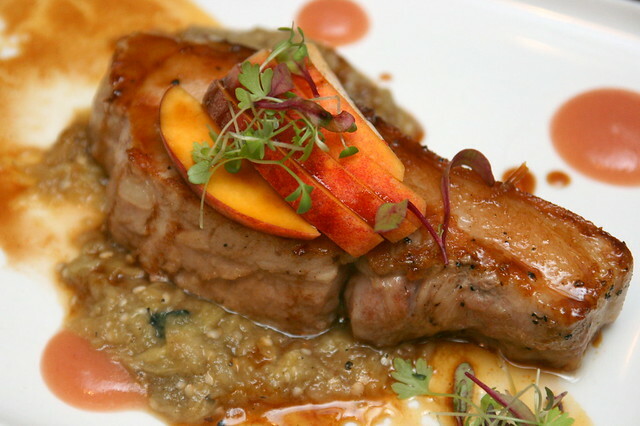 Tender and succulent pork, but the base was almost more interesting - aubergine, miso, peach and apple! I decided to go vegetarian for dinner and did not regret it one bit. Honestly, I thought this was their star dish. For starters, the presentation just blows you away. What a stunning dish! It was also flirtatiously bold in flavour - every element sang! 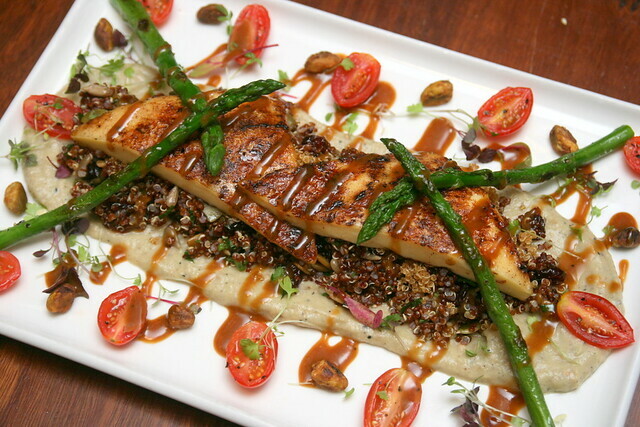 If you love haloumi and quinoa, you won't go wrong with this. I'd come back just for this dish, honestly. They have several desserts, and I could tell you about them, but seriously, there's only ONE you need to go for - the sticky date pudding. Oh man, what a revelation. 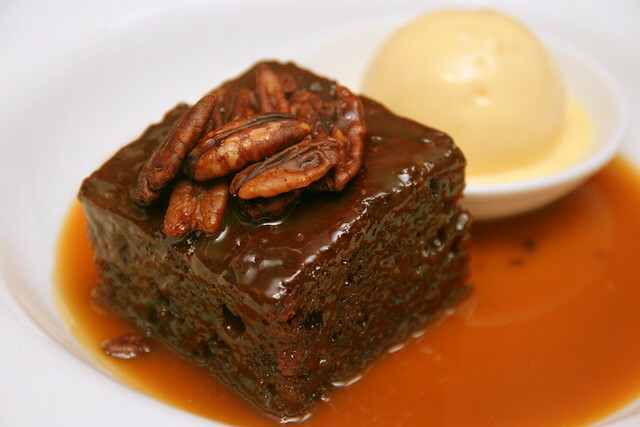 Hands down, easily one of the best sticky date puddings I have ever had. It's soft, moist all the way, and not ridiculously sweet. The perfect balance, especially with the malt ice cream. It's a MUST-TRY! The Heafod Glen Winery has its own separate wine cellar building adjacent to the restaurant. 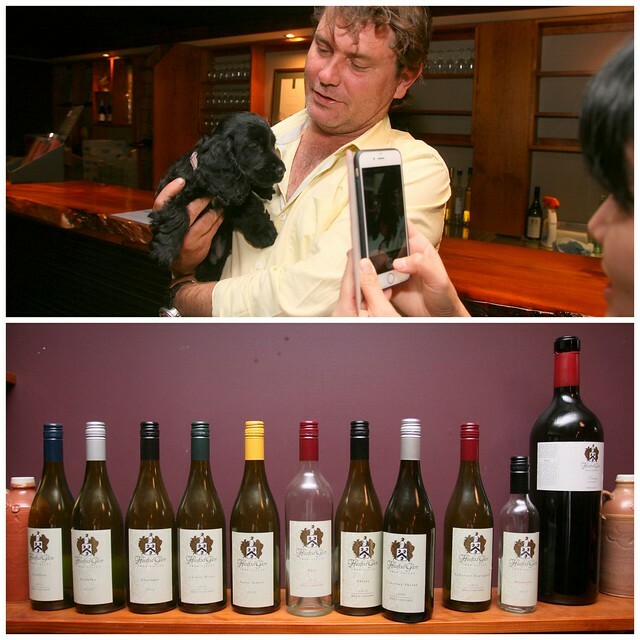 This place is also dog friendly, and the owner has two dogs on the premises. Totally sweet. This caps our first two days in Perth. More coverage coming up for this Western Australia trip, as we head to Margaret River and Busselton! Thanks, Todd! Was great to see you, and I'm sure to visit again! Perth is the best city to chill out in. There's lots to do and see like you've said and I personally like wandering through the different suburbs and visiting the various cafes and the like. You can pull the picnic mats out of storage too because the parks are especially well manicured. Perfect outing locations for trhe little ones! It's lovely to travel isn't it. I've lived in Perth for a long time, but there are always new places to go when you have the time to explore!